When you’re behind the wheel, you must be vigilant and prepare for the unexpected. There are hundreds (thousands?) of odd hazards that you might only face once in your life. In this post and a subsequent one, we’ll explore how to stay safe if you confront an eccentric situation. Evaluate the debris: hit it (carefully) or swerve? In general, authorities recommend driving over debris if possible, because sudden lane changes can cause accidents. But the circumstances will dictate the smartest course of action. Keep your eye on the other vehicles. Pay attention to what other cars do. Also, scan for potential hazards, like a truck with a loose load that may be the source of the debris. Call 911-once you’re off the road! Alert local authorities, but wait until you’re pulled over safely and stopped. Do not use your cell phone, even hands-free, when you’re driving a car. The stuff of nightmares, jammed accelerators have been blamed for some of the most horrific car accidents in modern America. (This story illustrates the kind of damage that can be done.) What do you do? Don’t panic. Breathe, and assess the situation strategically. Avoid trying to unjam the accelerator. Focus instead on the brakes-or on finding some way to stop the car safely. Firmly apply the footbrake. Only use the handbrake if the footbrake also fails-and/or if it’s insufficient to slow you. Put the car in neutral (if you have an automatic) or depress the clutch (if you have a standard transmission). When you put the car in neutral, the engine can’t power the wheels any longer. This action should make braking easier, but you will still have your power steering to control the car-which is why you don’t turn the engine off. Another nightmare scenario. What do you do? Here are some ideas from DefensiveDriving.com. Pump the brakes quickly to build up brake fluid (and possibly restore some braking ability). If the footbrake still doesn’t work, gradually apply the handbrake. Brace, and prepare to skid. Still going? Shift the car into a lower gear or into neutral. This takes the power from the wheels so they aren’t turning. Roll to a stop. Avoid turning the wheel too much, but obviously steer around obstacles. 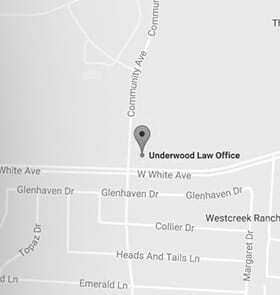 If you’ve been in a bad car accident-or an unusual one that led to damages or injuries-our McKinney auto accident attorneys are standing by to give you the insight you need. Call us toll-free at 844.863.3796.